Although there has not been a major Ales Angels Row the boat has been a busy as ever with the fruition of the 'sponsor an oar' scheme. 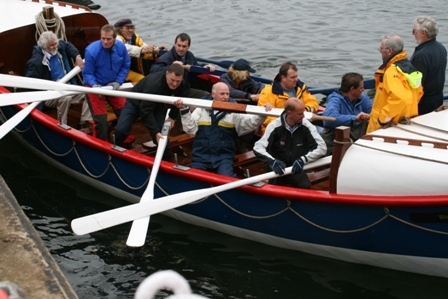 The trust looked out of Whitby for getting the oars completed, seeking advice from the same person who did the oars for another former lifeboat the Charles Henry Ashley, another boat that participated in the Great River Race. 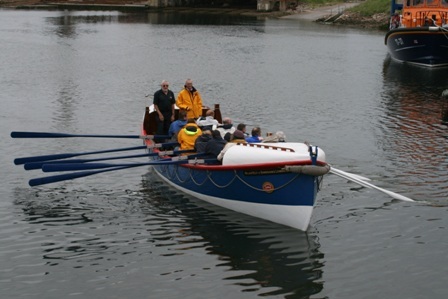 The trust sought help from the National Lottery and was awarded a further grant of 50% towards the oars. With the grant secured the trust then engaged the services of a local boat builder, Steve Cook who offered to obtain the wood and work on shaping them. After delivery the blades were then reinforced. The double "clamp on" loops were cut down to single sided "screw on" form and re galvanised, before being fitted. 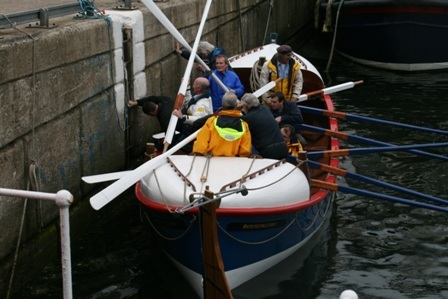 A rectangle of "tufnell" was fitted on the lower side of the oar where it rubs in the gunnell. The large Thole pin / rubbing plates have been refitted as a temporary measure but the aim is to get basic thole pins made and fit small rubbing plates to the boat which would be far neater. The oars were first used during the visit to Wales and experience will be used to determine how much, if any, balance is needed. Vinyl letters were cut and applied to the oars for the dedications, if these do last then it is likely that the personal dedications will blast engraved. After last years blue coat improvement the white saw a similar smoothing and the gunnels were repainted slightly darker, the varnish was cleaned down and redone during which attention was paid to some swollen hatches. The first trip out for the boat was to Porthmadog, and the Ffestiniogs Quirks & curiosities weekend on April the 30th to the 3rd May, no doubt a worthy fundraising venture. 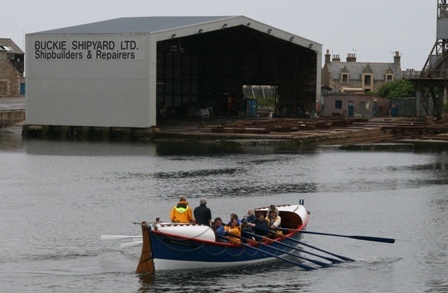 The William Riley was part of the Buckie Lifeboat Station 150th anniversary on the 20th June, pictures of the boat being prepared for a short journey to a private boatyard to be lifted out feature below. The following was released by the Scarborough Evening News on Wed 15th December. 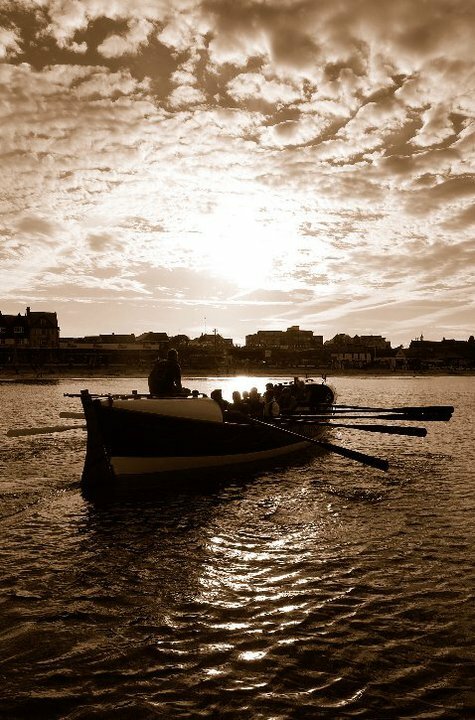 A TEAM of 40 rowers managed to raise almost £5,000 for two good causes in memory of a Scarborough diver who tragically died last year in an accident off the coast near Hartlepool. The Friends of Colin Bell presented £2,459 to Scarborough RNLI and Help For Heroes after rowing the restored William Riley lifeboat between Scarborough and Whitby. John Porter, a Scarborough RNLI press officer, said he could not thank them enough. He added: “It’s a marvelous donation and the people have worked very hard to raise such a staggering amount of money.” He added that the event was organised by members of Scarborough Sub Aqua Club and Mr Bell’s widow, Jean, was a driving force behind it. Colin Bell was an experienced diver and an active and enthusiastic member of the branch and will be sadly missed by all who knew him. 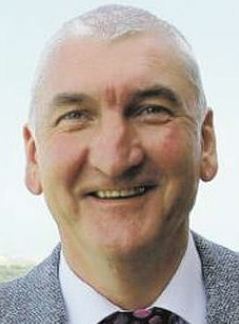 Colin was a professor at Yorkshire Coast College where students described him as a "larger than life" character who will be "massively missed". Although only just into 2011 the William Riley has already completed its first fundraising venture. Use the link below to access details of Rye Harbour and Dungeness volunteers endeavours.